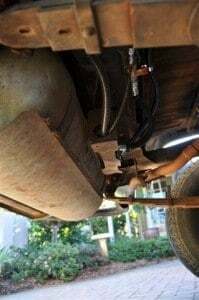 Is it worth getting an LPG Conversion? 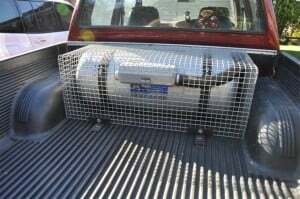 I converted my 1997 Toyota Hilux to LPG several years ago. I now have the ability to run on petrol or LPG, giving me a good range whilst reducing my fuel bill by almost ½. I’ve written this article to give you a better idea of what an LPG Conversion is all about. What is an LPG Conversion? Most cars purchased today either run on diesel, petrol or straight LPG. However, many people are converting their vehicles so that they can run on dual fuel. Petrol vehicles are regularly converted, and in the last few years Diesel Gas systems are also becoming popular (see below for more information). An LPG conversion involves fitting a second tank (an LPG tank) to your vehicle, as well as some extra pipe work, wiring and bits and pieces under the engine bay. This allows your car to run on both fuels. Occasionally people will convert their engines from Petrol to straight LPG, but the majority of Gas conversions allow the car to run on both fuels. What are the benefits of an LPG Conversion? The biggest benefit of an LPG Conversion is the savings in fuel. For most conversions, you are looking at about a 40 – 50% savings in fuel when running on LPG. Let’s say that most people drive around 15,000km per year; that would be a saving of around $1000 per year. Whilst that might not seem like a lot, for those who drive more than 15,000km a year it becomes significant. An LPG Conversion also gives you much better range (almost double in most cases), it allows the engine to run cleaner and it adds value to your vehicle. It also reduces the vehicle’s emissions, which is partly why it was encouraged in Australia through rebates. Today, there are basically two types of LPG Conversions on the market. These are Vacuum Induction or Gas Injection. Gas Injection costs more, but in most cases it produces more power and economy. The type that you get depends on the vehicle you own, how much you want to spend and what you use the vehicle for. Vacuum Induction gas systems are considerably cheaper. How much does it cost to convert your car? LPG Conversion costs vary depending on the model of your car, the size tank you choose to fit and the type of gas conversion that you get done. Conversions start off at around $2500 and work their way right up to around $4500 for a top of the line injected system. What size and shape LPG tank is best? The larger your LPG Tank is, the further you will be able to drive without having to refill. However, this can take up valuable space (like in the boot), or it could make the tank vulnerable to getting hit (if it is mounted under the car). There are generally 3 shapes of tanks used in cars today. You can purchase a donut shaped LPG tank which holds around 60 litres of LPG, and this goes in the spare tyre compartment of your car. If you do go down this track you need to secure the spare somewhere else in the car (usually on one side of the boot). This is a great way to convert your vehicle to LPG without having to lose too much space. The second shape tank is just a basic cylinder, which is what most cars use. These are pushed far up in the boot, mounted under the car (those with enough clearance) or mounted in the tray of a vehicle. The other shaped tanks are like 3 cylinders joined together, which can hold a considerable amount of gas for their size. Speak to your mechanic and they will let you know what your options are. What are the disadvantages of LPG? There aren’t many disadvantages of fitting LPG to your vehicle, and most are unimportant anyway. The system does add a little bit of weight to your car, which isn’t really much of a problem but more something to bear in mind. If you have a four wheel drive and you stick the tank underneath in a vulnerable position expect your clearance to be severely reduced. When running on LPG it’s likely that you will need to fill up more regularly, because LPG has less energy than petrol or diesel per litre. LPG tanks need to be inspected every 10 years and the LPG system should be serviced every 10,000 – 20,000km. Basically though, the disadvantages of running LPG are nothing in comparison to the benefits that you receive. There are certain vehicle models that run better on LPG than others, and even a few models that people say you shouldn’t convert to LPG because the engines don’t like it. However, most vehicles will accept LPG and you will reap the benefits. LPG systems vary in terms of the fuel they start on. Many systems start on Petrol and swap to LPG automatically after a few hundred metres. Some systems start on whatever fuel you have selected. In either case, you can change to LPG or petrol at any time by flicking a switch, or pressing a button. LPG conversions come with a gauge to show the level in the fuel tank. 1 litre of LPG has less energy than 1 litre of petrol. What this means is that 60 litres of Petrol might get you 500km. In the same vehicle, 60 litres of LPG would probably only get you around 420km. Of course, this varies depending on the LPG Conversion you get done, but it is something to bear in mind. People may tell you that LPG will make your car less powerful, but this is untrue unless you have an older system. An injected LPG system will have the equivalent power as on petrol (or even more in some cases). 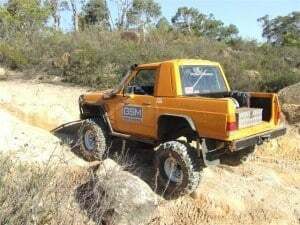 My Hilux suffers a little bit being a carburettor car, but it is not a massive power loss. In the last few years Diesel Gas systems have become very popular, although they are quite different to normal LPG conversions. A Diesel Gas system runs on around 70% diesel and 30% LPG. The benefits include significant power increase, better economy and better range. The power increase is usually related the same as fitting a turbo to your vehicle (which is quite a big gain!). Diesel Gas systems only require a small LPG tank (a big four wheel drive usually only needs a 30 – 45L gas tank) to match the long range diesel tank. Rebates were available for Diesel Gas systems in the past, but I am unsure as to whether you can still get them. Something to note is that even with a Diesel Gas system you can still run your vehicle on Diesel only – if LPG is not available then you are not going to have any issues! Recently I fitted a second LPG tank in the tray of My Hilux. I did this purely for the ability to travel a longer distance, and because it gets quite poor economy on Petrol and Gas! To fit a second tank, you need a suitable location and then a gas fitter can plumb it up with a Hydrostatic Valve. This stops any gas flowing from one tank to another, and you can arrange for a second gauge to be fitted too. In many cases, the tank that is located higher up will be used up first, but it doesn’t always work this way. My Hilux can now carry around 125 litres of LPG and 60 litres of petrol, giving it a range of just over 1000km. Of course, by fitting a second tank I have reduced the space in my tray, but that was a compromise that I was willing to make. It is important to have a good location for the second tank, and in a Ute tray is a good option. I have the other tank under the vehicle, tucked neatly away. For most LPG Conversions, your economy will drop about 15%. What I mean by this is that you will use about 15% more LPG as you would have on petrol. However, given that LPG is roughly half of the price of Petrol, you are still making significant savings. Before you choose to get an LPG Conversion done, it’s important to consider what you are going to use the vehicle for. If it is going to be used for seriously remote touring, LPG may not be your best option. The reason for this is that LPG is not always available in some of the remote locations. To add to this, LPG burns less efficiently, meaning you have to carry more of it than you would for petrol or diesel. However, I know of plenty of vehicles that have toured around Australia on dual fuel (LPG and Petrol) with a bit of planning. One of the reasons LPG Conversions became so popular in Australia was because of the rebates that were available from both the State and Federal Government. 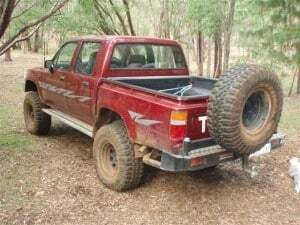 To convert My Hilux, I paid $3250 and I got back $3000 from the Government. From that, I only had to do a few tanks of LPG and I had already paid the investment back! The rebates are slowly being phased out, but in many states of Australia you can still get some money back. Even if you are out of pocket by about $1500 for the conversion you can pay that back in around 1 year of driving. I will just quickly mention a few things that you should know when getting an LPG Conversion done. In most states, once the conversion is done you will be required to run the vehicle over the pits (or get it checked over by the transport department). Every 10 years your LPG tank needs to be re tested (they take it off the vehicle for a few days, pressurize it and give it back if it is ok). I believe this costs around $200. Something else to remember is that it is important to run your car on petrol from time to time. Many people get their cars converted to LPG and then never change it to petrol. If you do this, your injectors will get blocked up and your car will need work to get it running on petrol again. Most mechanics recommend around 10 – 20kms to be done on petrol each week. To top this off, don’t let petrol sit in your tank for more than a few months. If you do this, the petrol becomes very sticky and will clog your engine up when you do use it. I tend to only keep ¼ of a tank of petrol in My Hilux and fill it up when it is nearly empty. If you want to save some money when getting an LPG Conversion done, you can get a second hand tank. I picked up a 70 litre tank with 5 years left for $100, which is a big saving. Just look around on the local classifieds, eBay and other places and you will save some money. You do however, need to ensure the tank is in good condition or the mechanic may refuse to use it. This is not true. LPG burns cleaner and is actually better for your engine, presuming you have a well maintained system. This is not true. Only the older systems made your vehicle have any noticeable power loss, but the newer systems have fixed this issue. I mentioned above that LPG tends to burn about 15% more than petrol. This means you have to fill up 15% more often, but when the fuel is half the price of petrol I am willing to do that! Those who really dislike LPG will go on rants about how the tanks regularly blow up, for no reason. LPG tanks are very safe, and they are built with valves preventing them from being over filled. In fact, you have 20% of space left in the tank to allow for the fuel to expand on hot days. LPG tanks do not explode for no reason! You might read about vehicles that have had LPG Conversions done backfiring regularly. The fact is, if everything is running how it should you won’t have an issue. If you are experiencing backfiring, get your leads, spark plugs and coil pack checked and replaced if required. Usually the problem is just something simple. There are millions of LPG cars in the world and if backfiring was really a big issue then people wouldn’t own them. You won’t even notice the difference when running on LPG or petrol. A well maintained system will run very well. However, something to note is that dual fuel vehicles are tuned to a compromise on both LPG and petrol. If you adjust the LPG too much then the engine will ‘ping’ on petrol, which is a serious problem. As a result, you won’t get as good economy on petrol or LPG in a dual fuel car (it is only a minimal difference) as you would if it was tuned to run purely on one fuel or the other. Again, this is a myth. The truth is that there is an LPG tax that has been introduced in Australia. This will make the price of LPG go up 2.5% each year for 5 years. This starts in 2012, and will lift the price of LPG about 9 cents per litre at the end of 2015 – not a significant amount considering how much the price of petrol will go up in that time. I have compiled a few case studies based on vehicles that my family and friends own. You should be able to get a rough idea from these. Prices were worked out as Petrol – 142.5 cents per litre and LPG 70.2 cents per litre. The savings per year was calculated off an average of 15,000km per year. 1997 Toyota Hilux 2.4 litre 22R engine (carburettor). Petrol Economy – 14.5L/100km. LPG Economy – 20L/100km. Overall, this has allowed me to drive My Hilux as a daily vehicle. It now costs less than a commodore or falcon to drive around, but I get the luxury of being able to go four wheel driving at any time. 3.5 litre V6, Petrol Engine. Injected Gas System installed. 60 Litre LPG tank fitted under the rear seat. Petrol Economy – 15L/100km. LPG Economy – 18L/100km. 4L 4 cylinder engine, Vacuum Gas System installed. 70 litre LPG tank fitted in the boot. Petrol Economy – 12/100km. 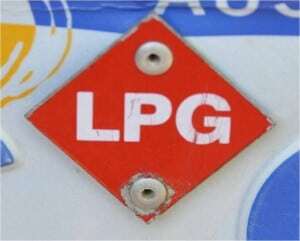 LPG Economy –15L/100km. 1.8 litre petrol engine, Vacuum Gas System installed. 60 litre LPG tank fitted in the boot. Petrol Economy – 9L/100km. LPG Economy – 11L/100km. For most people, the primary reason for an LPG Conversion is the savings. I can’t recommend LPG enough – I am very happy with My Hilux, and those that have had LPG vehicles will tell you the same. Of course, you need to take into consideration how many kilometres you do each year, where you do them, what you do with the vehicle and basically anything else that is relevant to your circumstances. I hope I have answered a few questions in regards to running your vehicle on gas. Please feel free to ask questions below and let me know your experiences with LPG vehicles. Since the government has added their fuel excess for LPG, I wouldn’t get another LPG vehicle again. The costs of LPG just don’t make it affordable anymore, and the hassle of having extra tanks, more servicing and compliance costs, reliability issues and struggling to find LPG especially out of towns just take away from what was once a good idea. How much does it cost to convert your car to Gas? This is not true. LPG burns cleaner and is actually better for your engine, presuming you have a well maintained system. It is dryer though, and valve lubrication is very important. Thanks for the great article, full of useful info. I’m in Perth and looking at converting my Hilux to LPG. Just wondering if you could tell me who you used – I could just ring around, but a recommendation is always better 🙂 Happy Camping! What Hilux have you got; you really want to think about what system you go for, the tank size and location etc. 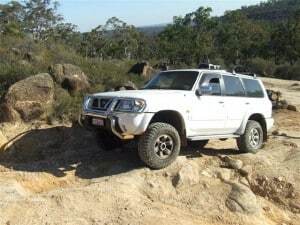 I used Quickshift Auto’s in Myaree. John (the owner) will look after you. The most common option over here is to fit a rear bar with a swing away tyre carrier. Is there no spot on the rear door? Otherwise, you can keep it on the roof rack, which is a bit of a pain. Last option would be to make a bracket or strap it in place in the rear of your vehicle. Best of luck! A total waste of money!! The government rebate just pulled the butchers out. I’ve never, ever seen a good LPG system, let alone an excellent one. All have been total crap and what you think you save, you’ll spend on repairs! Don’t even think about it. It did bring out some butchers, but there were plenty of people around prior to the rebates. I had a great system on one of my vehicles, and not such a good one on another. HI I have a Land cruiser 2.8 turbo diesel and I’ m intending to install LPG conversion kit on it… Because its old the vehicle year 1992 will notice the difference about the consumption and reliability of increasing power.? What model Land Cruiser is it? It depends on what system you get. Hey mate I bought a 1996 jackeroo no petrol gas only love the cost etc just wondering if it’s safe enough to go fwd with the tank underneath the rear of the car..
Gas tanks are usually pretty tough – you can give them a pretty substantial hit, but its best to avoid knocking them if possible. The converter for my LPG needs replacing at an estimated cost of $800. Considering the space it takes in my hiace hightop campervan what would you recommend? I feel like removing the system. Only you can answer that. I would look at the cost of travel per 100km with LPG, and then with petrol, and go from there. In the past there was substantial savings, but these days with the higher cost of LPG it might not be worth it. Have a think about the extra weight, how much LPG is going to cost where you are travelling and if you removed the LPG system whether you would use the weight for carrying more petrol, or other useful gear.